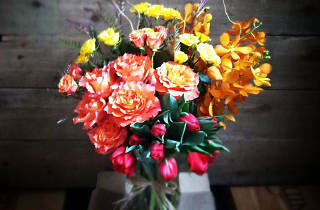 The bouquets at this three-year-old shop skew rustic—“loose and garden-y” is how co-owner Courtney Sayner puts it. She and her counterpart, Jason Gonzalez, keep between 25 and 50 varieties of blooms in store, most from nearby growers in Half Moon Bay and Petaluma. 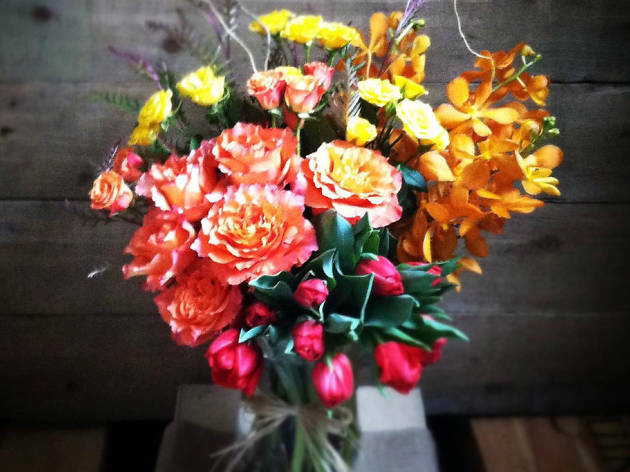 You can always count on a supply of dahlias—the official flower of San Francisco—and garden roses. “We like to do things that are romantic, but not overly standard or traditional,” says Sayner. That extends to the presentation options, like the popular Mini Milk Crate ($49), in which blooms fill an array of tiny glass bottles within a wire crate.